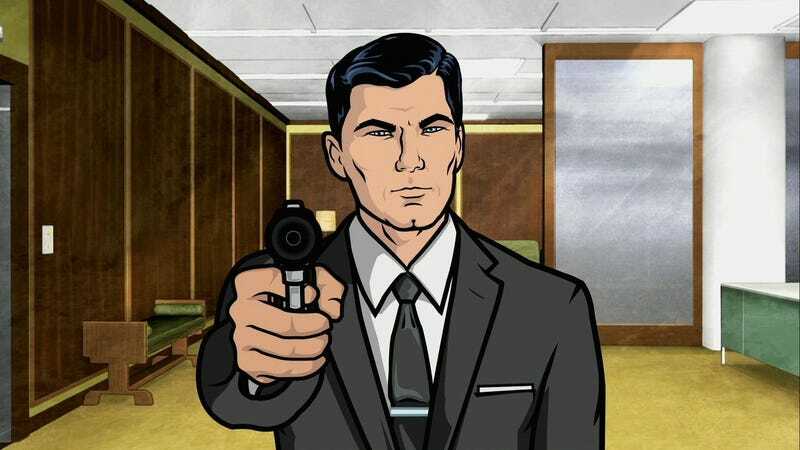 Sterling Archer, the star behind the animated spy sitcom airing on the FX network (also called Archer! ), is hands down one of the biggest jerks on TV. We're talking like, someone so awful that he makes Walter White from Breaking Bad look like a nice, upstanding guy. He's rude. He's self-centered. He's a womanizer. He's brazen. He has some serious mommy issues. Hmm. Archer makes for the perfect character to base a renegade playthrough of Mass Effect on, don't you think? I'm all the more convinced by the @ArcherShepard Twitter account, which tweets things that you can practically hear in Archer's voice. I think I might just have to make any future Mass Effect playthroughs based on Archer now.